Come to Pine Street. June 2015–but it might as well be Nov 2013 or September 2014. From Nov 2013 to this day, a common thread coheres. First you’ll hear the cars, tumbling at breakneck speed, clattering and accelerating as they hurtle past the house. And the so-called “covert” vehicles–the white worker vans, the anonymous SUVs, the pick-up trucks, the FedEx trucks, the UPS trucks, the Verizon and Xfinity vans, the Post Office vans–they all hurtle past, back and forth, up and down the street. This goes on for a bit. Sometimes they come close, right up to the house, opposite the house, pulled up in front of the neighbor’s house, or pulled across into the neighbor’s driveway. Then you’ll hear the honks, from these vehicles. Single honks, tiny honks, a series of honks. Despairing, frustrated honks. Almost immediately–literally within 5 minutes–you’ll hear the planes. The first plane rumbles confidently up, crosses the house. On your body, you feel the scissor-like zigzag of radar, probing your nerves, your heart. A loud crack sounds from the side of the house. But look, the cars are driving like crazed squirrels again. Up and down they go, up and down and round the block and back. Then they honk. The plane comes back. Maybe it hangs in the distance for a while. Maybe it comes over and circles. Step out at night and you’ll see a plane with bright white flashers circling slowly around the entire neighborhood. Once more, your knees are pulsed. Radar signals, running through your human body. Crack on the side of the room you’re sitting in. And here come the cars. They sound jubilant, they crash down the street like victors. But look, their tracking isn’t working very well. They’re back to tearing up and down like maniacs. Yes, they’re above 25 mph and this is a residential area. Yes, the neighbors can all see this happening. Yes, no-one calls the police. Why should they? Two weeks ago you saw the Quincy Police steal abruptly away from the side of your house where they were raising their Through-Wall-Surveillance Radar weapons at your living-room wall, hitting your shielding, trying to find you. The police are in on this. And the neighbors let these cars park in their driveway. Modern COINTELPRO uses up every resource, including the neighbors. The neighbors pull out their cell phones and track you with their GPS apps as you step out into your yard, the drive, the street. The neighbors put on the colors they’re told to wear, hop out with their little dogs in front of you, pull out when you’re pulling out of your driveway, pull up when you step out, step out when you step out, and stare. Right now though, the cars are back to zooming up and down, the honks are starting up again, the plane is forced to come back. It hovers, circles, hangs. Step out and you’ll see a Cessna fly low and cross your yard–a small plane that picks up in speed as you point your cell phone at it, trying to snap a picture. The neighbors have been called to come out in droves now. Some of them are shouting to each other at the tops of their voices. Some of them are shouting authoritatively at their kids–even the nice Italian woman next door, who used to be quiet and sweet to her kids. Some of them are running their power tools–the guy with the red pick-up up the hill goes at his loudest saw with vicious venom, glancing across into your yard now and then. The owner of the duplex opposite pulls up in his gigantic black pick-up and pulls out a particularly virulent lawnmower and turns it on. Meanwhile the aircraft activity goes on. Maybe a helicopter comes through, rather stridently and quite low, looking like a giant bee with a stinger. The cars go back to pounding the street. They repeat their little cycle of frustration, pulling up close so you can feel the flicker of their radar on your facial nerves. They just can’t get a read though on the sit of your spine on your chair, they can’t hit you from beneath or above, they want to stick their pencil of radio pulses into your body cavity, but they can’t lock on. Such a pity. Such sophisticated weaponry, designed to lock on. Your heart bleeds for them, the sadly foiled gangsters in their street cars, forced to pound up and down, non-stop, all through the morning. They work in teams, and they work in shifts, and they can’t wait for the next shift and the next team to get started with this insane pounding. This back and forthing like lunatics is the Overt part of their mission. Maybe they’re trying to make hits on your Nervous System, to keep you on edge all through the day. Maybe they think they’re scaring you with their Show of Force. The sitting and hitting–which they succeed in doing mostly at night, when you’re trying to sleep–is the Covert part. They’re sitting quiet–either in their cars or in your neighbor’s house, and pointing their handy little portable weapons at you, or just GPS’ing you from a distance with radar tracking and letting an undisclosed-as-operative, Classified drone hit you. The weapons are Covert Weapons. The Assault is Covert. The Assault is Classified, and will serve you a Glomar Response if you seek to FOIA it. Nonetheless, it’s pretty public activity on Pine Street, and everyone knows what’s going on. Heck, they’re taking part in it–welcome to the Cell Phone Staasi century. On your person, you’re foiling their hits with shielding which resounds when energy pulses hit it. There’s no mistaking this remote action, it makes Very Loud Sounds close-up. You have ample reason to shield, since you were kept awake all night with a High Powered Microwave weapon hitting your body with heat waves, and energy pulses at your head all night so you woke with a headache, and nausea, and had to spend some time (shielded) trying to get over all that. Meanwhile, journalists are sleeping. Journalists who cover Surveillance and are up in arms over the loss of our rights and liberties are sleeping. Human rights groups turn a blind eye and a deaf ear, although you’ve contacted them, although hundreds of people have contacted them. The ACLU, which recently sent you a copy of the US Constitution in the mail, and pleads for your fiscal support, which you have frequently given, has told you they can’t help you because you’re an individual. Not a group. They don’t help groups either though, reporting this particular crime. Your Senators–stellar as they are–Ed Markey and Elizabeth Warren–do absolutely nothing to stop this crime, although you’ve sent letters, spoken to their staff, and keep writing. Your President ignores your letters and group petitions. Who are you, you’re asked. Who are you that you would get their dirty attention? The answer is: Nobody. You’re both nobody special and nobody they want alive, because you signed a few petitions, wrote to your Senators, and mentioned the word “Ethics” in front of a Front-Man or Front-Woman–an informant–they’d planted in your midst. (They’re everywhere today, according to reports on the NSA. The FBI alone admitted to 15,000 informants in a 2014 report.) Nobody will care, they think, if you’re finished off with a heart attack or stroke, all induced remotely. Who’s to know? Mention being hit from a plane or a helicopter or a car parked on your street and–the shadow government that has instigated these hits on you have set up the framework, and they’re banking on it– your society, they hope, will instantly label you a Paranoid Schizophrenic--and there are plenty of psychiatrists in the pocket of Big Pharma happy to misdiagnose you as such. Meanwhile “targeting” you gives them plenty of reason to start a bogus investigation, try to legitimize their evil Patriot Act and now Freedom Act (! ), and corral the entire neighborhood into doing their bidding, on a micro level, night and day. What is the reason for such an assault on some–and all–of us today? The Persecution of Dissent? 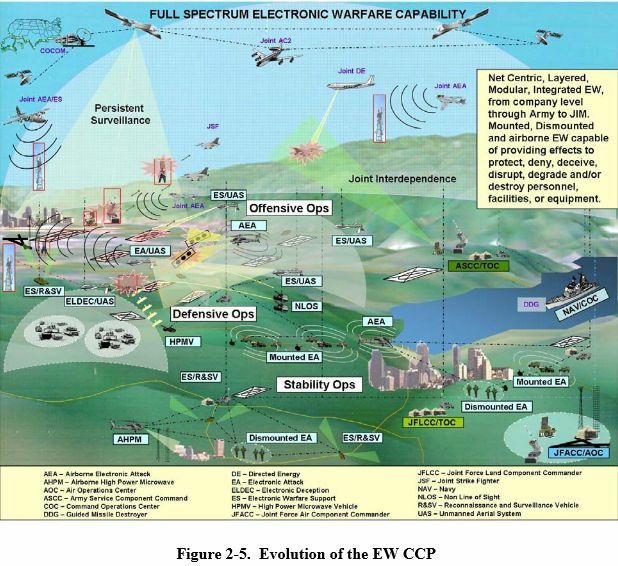 New-Age Electronic Warfare Weapons Testing? MKULTRA Behavior Modification Experiments? The beginning of Robotization of all humanity? Check all of the above. Repeat: This is June 2015. This is the United States of America. This is a citizen of the United States of America speaking. 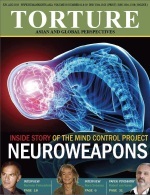 This is Domestic Torture delivered via Covert Assault with Military Remote Radiation Neuroweaponry, also euphemistically titled Non Lethal Weapons. This is Electronic Warfare and Asymmetric Warfare being carried out by Military and Intel contractors on the person of a US citizen, inside the USA. This is an Assault with Weapons in the Boston area, being permitted by the City of Quincy, the Quincy Police, the Massachusetts State Police, and the State of Massachusetts. As my recent FOIA request to the FAA indicates, there is Full Knowledge–by the DOD, the USAF, the DOJ, the CIA, the NSA, the FBI, the DIA, the City, State, and Federal Governments, including the White House–about these planes, helicopters, cars, neuroweapons–and Refusal to Acknowledge. This is being run as a Clandestine Operation–and no-one will speak about it. Meanwhile, Americans are being tortured every day, continuously, on American soil, by Americans. This horror is ringing a very loud and strident bell in our ears today–is anyone listening? This Government no longer cares about its citizens. This is a Crime of Secrecy, of Wrongful Classification to Conceal Violation of Law. This is State Terror, in the name of National Security. Is the whole country being run by gangsters? Is there Anyone in America awake and aware and able to address this gross injustice? our WiFi security code and passwords att changed it back, set up a dead zone around our apartment so can’t call or look up anything, neighbors trying to sell me drugs, put mud in my tank destroying my car, no one will hire me, pass employers being intimidated not to employ me. I came from a dictatorship ship set up by the us and thought that as long as I worked, payed my tax and my way, obeyed the law I had the law I had the right to the first amendment but found out that is a right to only the few wealthy and i’m still living in a dictatorship banana republic so sad after all the hope during the Obama years I really hope people will wake up and change this system in November if not Brazil here I came and best of luck to all of you! I’m being attacked from the room above, below, and both sides…by so called Chritian women!!! I’m 58…disabled…and cannot afford any shielding. It doesn’t matter where I go, they follow!!! They’ve destroyed my relationships with my daughter’s, and the rest of my family. I feel like a sitting duck,,,waiting for God to say enough,,,and bring me home. Good catch on the color-coded clothing. Also, keep an eye out for fatigues, military-style backpacks, and the earbuds.